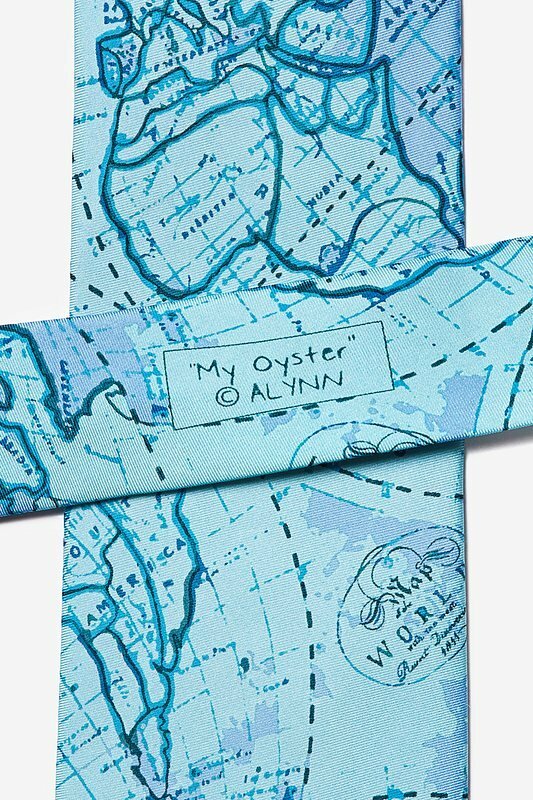 Have you heard the saying, "The world is your oyster"? 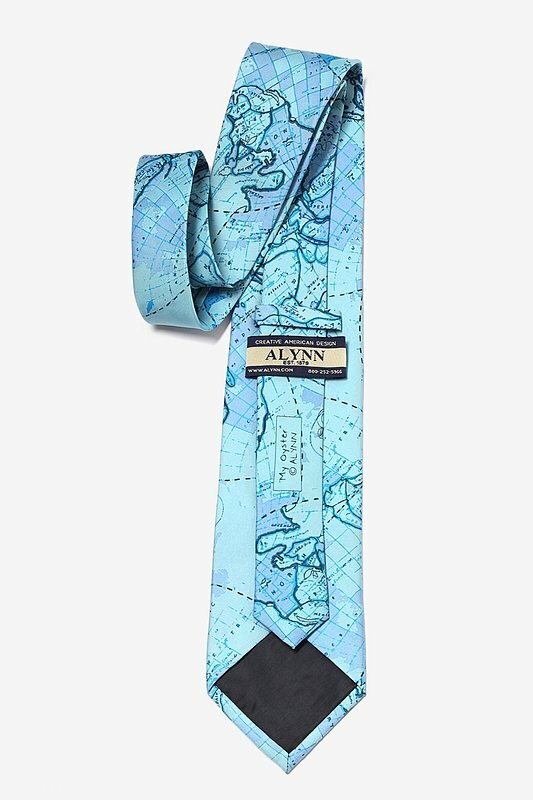 If you have wanderlust and want to travel the world, this tie might be a great starting point to planning your... read more Have you heard the saying, "The world is your oyster"? 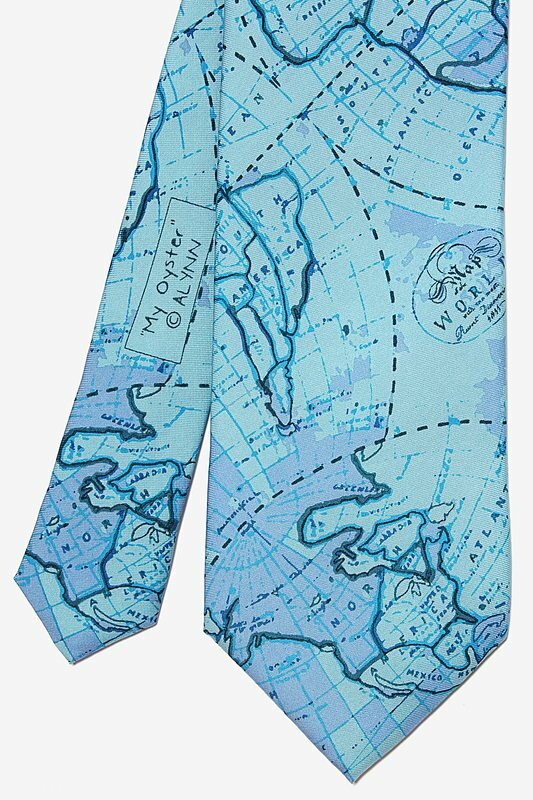 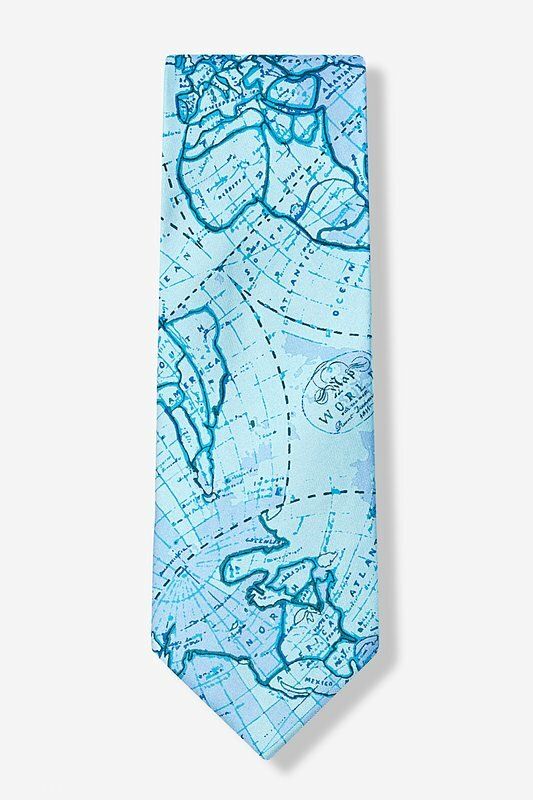 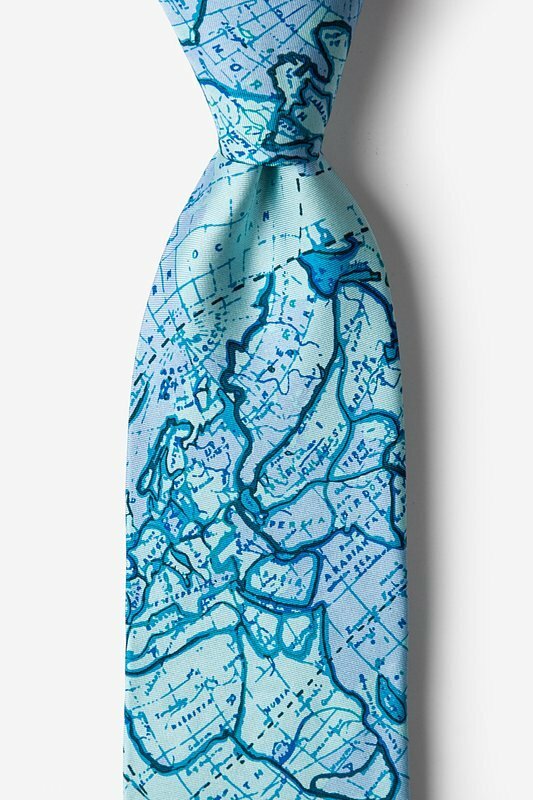 If you have wanderlust and want to travel the world, this tie might be a great starting point to planning your vacation! 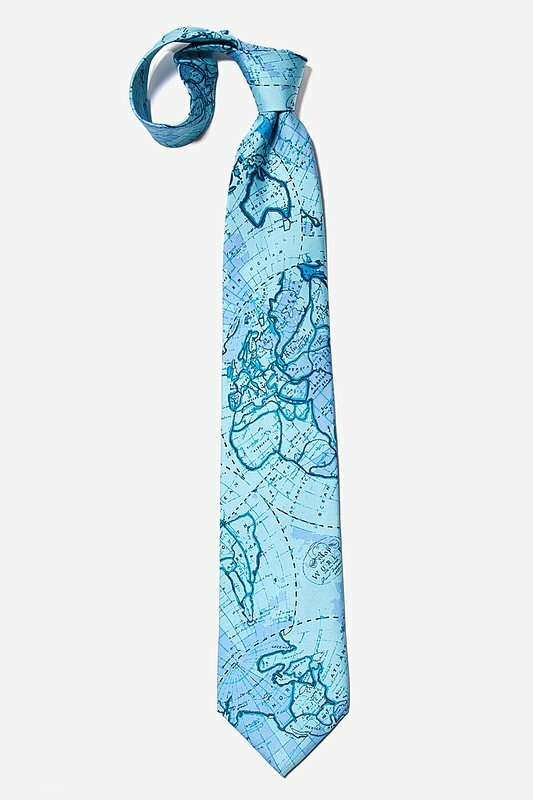 With a detailed map of the world on your 100% silk tie, you can explore your horizons with a world map right at your fingertips.